In Qingdao this week the China Fisheries and Seafood Expo is taking place, and ASC is celebrating a new milestone in the country, as the number of ASC-certified farms reaches double figures. 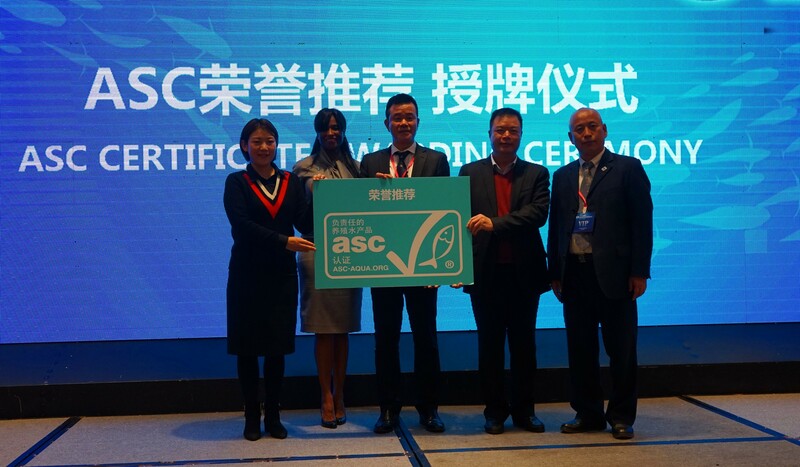 Two new organisations received ASC certification at a special event held during the Expo in Qingdao, and they have taken the total number of ASC farms in China to 10 – between them producing over 40,000 tons every year. The two new certificate holders are the Weifang-based Green Life Foods, farming oysters, and the Pengcheng Marine Products Company, whose farm in Guangdong has the additional honour of being the first ASC-certified white shrimp farm in China. The ASC programme is growing in China, having started in 2012 when ASC worked with China Aquatic Products Processing and Marketing Alliance (CAPPMA) and WWF to improve the practices of tilapia farms in the country. Today the ASC-certified farms in China are producing more than 40,000 tons of responsibly produced tilapia, bivalves and shrimp every year. “ASC certification made us realise that the vitality of our company’s future will come from a complete supply chain with responsible aquaculture at the source,” said Chen Weijiang, President of Weifang Green Life Foods. 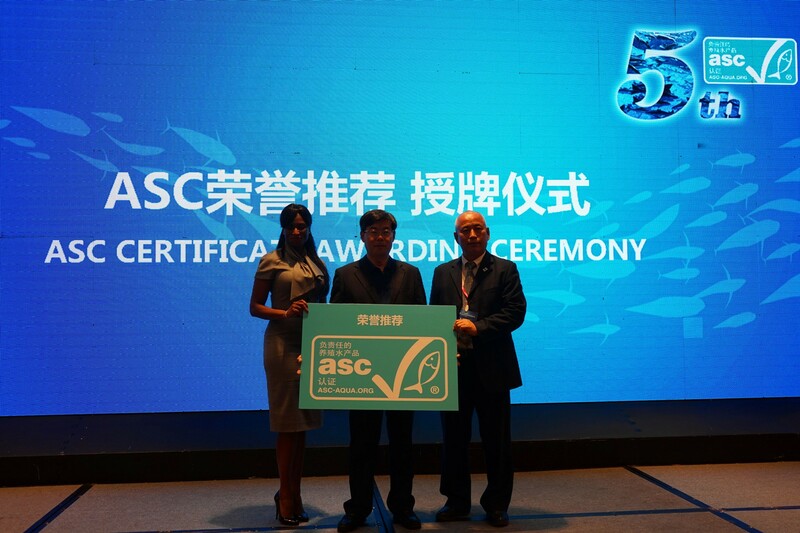 “ASC will further its growth in China, invest more resources in helping more farms improve their practices, and promote responsible production in China’s fishing industry,” said Fang Qing, Commercial Manager of ASC China.